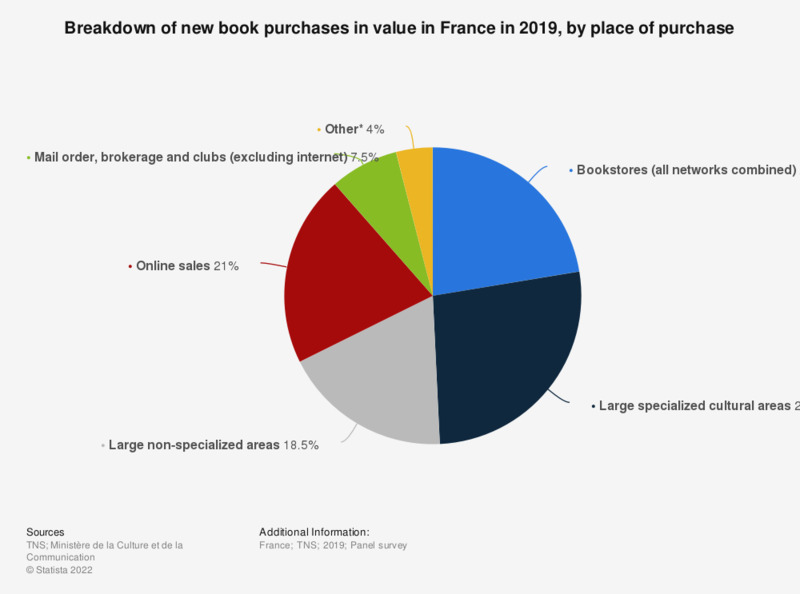 This chart illustrates the distribution of book buying sites in France in 2014. Internet sales accounted for less than 20 percent of book sales in France. * The source adds the following information: "Distribution of purchases of new books in value (new printed books, excluding school books and encyclopedias in fascicles, excluding second-hand books)". ** ** discounters, schools, markets, shows, garden centers.